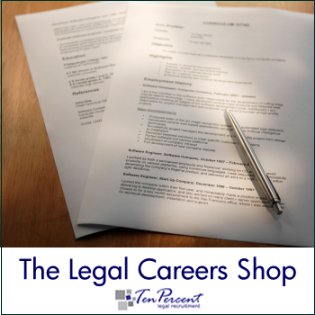 Legal Recruitment Blog: Activities and Interests Section on a CV - surely not that important? Activities and Interests Section on a CV - surely not that important? I recently ran a CV preparation course at a UK University for the Legal Practice Course students there. One of the issues that arose during the seminars was the relevance & importance of activities and interests in a CV, and it was interesting that the vast majority of people there had very little to write down on their CVs. Some had put socialising with friends or going on to Facebook and others had put 'playing with my playstation' or 'reading a crime novel'. Activities and interests are probably the third most important part of your CV. Firstly because when you go for a job interview, you need to have something to talk about with the person interviewing you, and if you have a set of activities and interests, an interviewer can discuss these with you and particularly so if they share something in common. If you do not have anything in common it makes it very difficult to talk about much... I can think of plenty of interviews where I struggle to think of my next question without wanting to fire a harsh one at a candidate simply because I cannot get anything off the CV to discuss. The other thing it does is to show that you are someone with a balanced lifestyle in that you are not just working on your academic studies or working in a working environment. The final thing it does is, with the person looking at your CV in the first place, enable the recruiter to be able to identify that the candidate is somebody that they would like to interview. The activities and interests section basically makes you stand out as a person and although has very little relevance for the bench marking exercise of most firms when they first look at your CV’s and decide whether to proceed on the grounds of your academic background, location and general impression, it can catch the eye and mean that a firm will look again at your CV in more detail. Your interests either need to stand out as something unique or as something that a partner would put value on. The value can be either because the person looking at your CV does similar activities themselves or because they see the worth or value of doing that particular activity. Clearly no one has any excuse for not putting an activity down, that includes socialising, going out with friends, watching television and playing on the playstation, it does not take much effort to go and watch a few football matches at a football club or perhaps going to a local ski slope so that you can say that you are developing an interest in skiing. If there is a five a side league for football in your local area, it can be beneficial to go and join that or if somebody in your family plays a sport, go and watch them doing that. You do not have to suddenly decide that you are going to get your pilots license or take up kite surfing (although these would be very beneficial), though you do need to have something down on your CV. From a law firm’s perspective there are a lot of solicitors out there who play five a side football, cricket, netball, running, squash, golf or simply walk the dog and spend time with the family. All of these open conversations (and doors) and if you develop one of these further, it would be very beneficial to your CV. It would also help if you know what is the person you are going for the interview with likes - I’ve heard of trainee solicitors telephoning the secretary of the partner who is going to interview them and ask what his/her interests are at weekends, so then to be able to discuss this with him or her. Personally, this is slightly too enthusiastic!